Painting and decorating can be tough tasks. 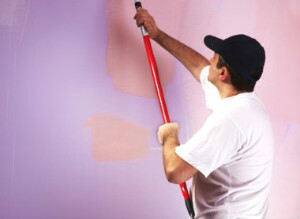 AfterTheBuilders Ltd. is a company specialised in any kind of decorating services in Hornsey, N8. Call us now! If you are reluctant to take up with the decorating procedures in your home you can enjoy your other activities and leave all the work to our team of professional workers who will make your premises look renovated and refreshed. Our decorating services are available in Hornsey, N8 so if you have planned some changes in your home we are encouraging you to contact us right now. We can offer innovative methods for painting that will absolutely respond to your requirements. We assure you that all of the equipment that we have chosen will be absolutely safe for your health. Choose us and we promise not to disappoint you in any way. 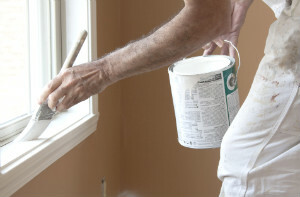 Your house needs an instant update but you are too busy to take care of it? Contact us now and we will help you make it cosy and stylish. We have a considerable experience in providing decorating services and we take pride in ensuring the best quality for our customers. There is no need to make expensive purchases on materials and tools. We will come properly equipped and ready to perform the task you give us. We operate seven days a week in the area of Hornsey, N8. It doesn’t matter if you need your property pained inside or the wooden window frames refreshed. We have the solution to your decorating issues. The decorating services you need in your residential or commercial estate is on your disposal, provided by our skilled and qualified staff. You can have your walls and ceilings painted and repainted in the colours you want and receive the professional advice you may need for choosing the best tones, according to your room’s style and design. After you reserve the decorating services you need we will send our decorating experts from Hornsey, N8, where we are located and they will give you the consultation you need. All the tools, materials and paints they use are specially selected to provide long lasting results in your rooms.